DESCRIPTIONWorkSpaces is leading the cloud desktop revolution and we are looking for systems engineers who know how to design and maintain highly scalable software services. We care deeply about the user experience our customers have when they interact with their WorkSpace. This includes how long it takes to launch, how long it takes to log in, and how the in-session interaction feels. We must provide a secure and highly available WorkSpace to meet expectations. The right candidate for this role will be motivated by building the solutions and tools to handle these challenges at cloud scale. System Engineers at Amazon are the backbone of our services. They work on large scale system design and help in our operational decision making. They are both hands on architects and implementers. They have a strong sense of ownership of the overall health and effectiveness of our services. Be great fun to work with. Our company credo is “Work hard. Have fun. Make history.” The right candidate will love what they do and instinctively know how to make work fun. Be passionate about customers. We start with the customer and work backwards. The right candidate will be passionate about delighting customers at all levels. Dive deep to solve problems. Our services are highly available, scalable, durable, and secure. The right candidate will be ready to roll up their sleeves to dig out root causes and solve complex problems before they impact customers. Know how to automate. We work fast and we work at scale. The right candidate will drive our culture of tooling and automation to scale our capabilities as our customers and services scale. Have Intelligence Community (IC) experience. Customers in the IC have unique needs. 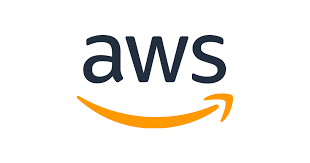 The right candidate will fundamentally understand those needs and be able to craft solutions from AWS products and services. Amazon is an Equal Opportunity-Affirmative Action Employer Female/Minority/Disability/Veteran/Gender Identity/Sexual Orientation.